The gang loses the pub quiz! ... iconic team name if I do say so myself. It's Always Sunny in Philadelphia is one my all time favourite shows, so the moment I spotted that there would be a quiz down the road in Greenwich, I was booking tickets to be a part of it. 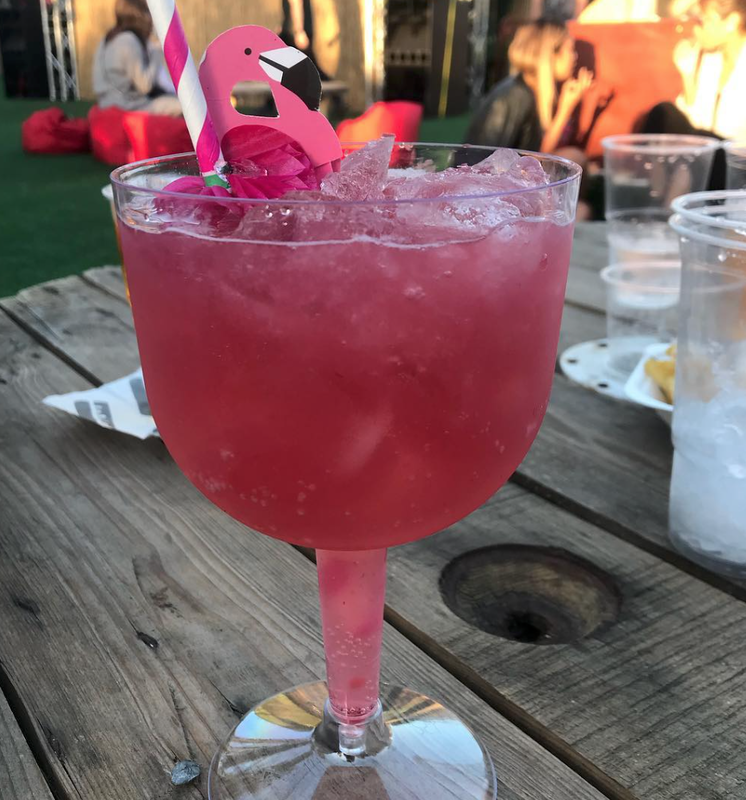 Held at Pub Tropicana, situated in Studio 338, a ten minute walk from North Greenwich station - a venue across multiple floors, with indoor and outdoor seating areas. There's a club floor, games room including table tennis, table football, outdoor games & even console gaming & VR sections. There is literally something for everyone. Pub Tropicana host a variety of cult pub quizzes including The Mighty Boosh & Friends. We arrived quite early, so spent the run up to the quiz drinking & catching up. For a while, not a lot seemed to be happening, but by 9:15pm the place was packed full of mostly It's Always Sunny fans. There were people in Fight Milk t shirts... the best group by far were in the Wade Boggs drinking tees - marking their t shirts with every drink! The quiz was hosted by the funniest drag act I've ever come across (pictured top left on the quiz sheet!) - he had no idea of the show, was dressed in double denim with a country wig & hat and was swearing at almost every question out of confusion of what the show was even about. When the questions were asked, it did come clear you really had to be a fan and get the show or you were done for! Questions included what did the D.E.N.N.I.S system stand for, identifying favourite characters like Uncle Jack and there was a round dedicated to The Nightman Cometh which involved a lot of tin foil and a make shift costume and ended with a row of Nightman's performing and the whole crowd singing 'Dayman' together - a couple who were sitting behind us ended up joining us and literally they had no clue about the show and it was hilarious seeing their reactions to the madness of It's Always Sunny! Some rounds included winning a round of tequila shots if you shouted the loudest which we did! We didn't win the quiz, but we did have a bloody brilliant laugh in participating. Afterwards we went into the ping pong area for a while before heading home. I'd definitely head back to Pub Tropicana when another show quiz was on! 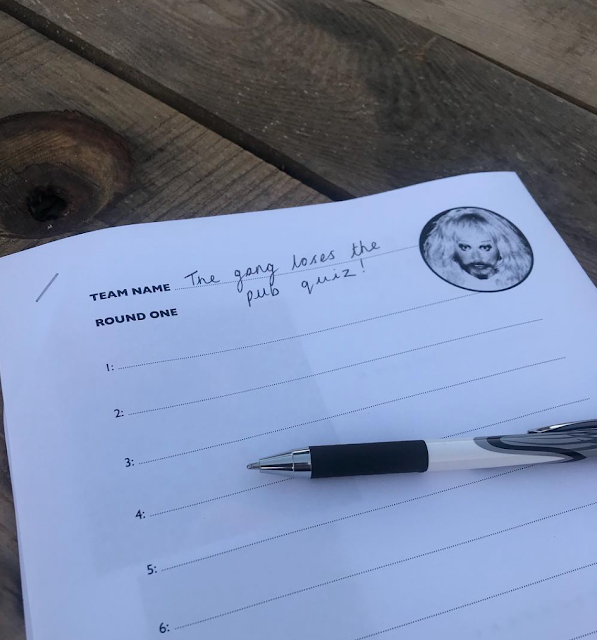 If you know of any good pub quizzes - let me know as we are on the lookout to go to more!